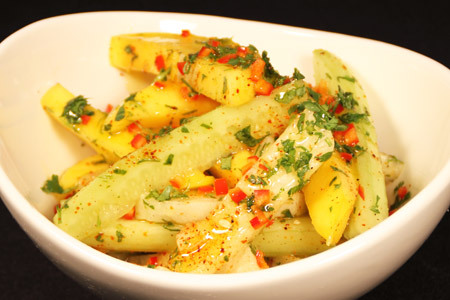 In a large bowl, combine the mango, cucumber, jicama, cilantro and red fresno pepper. Squeeze the limes over the fruit mix. Add olive oil, TAJÍN, salt and pepper and toss well to combine.